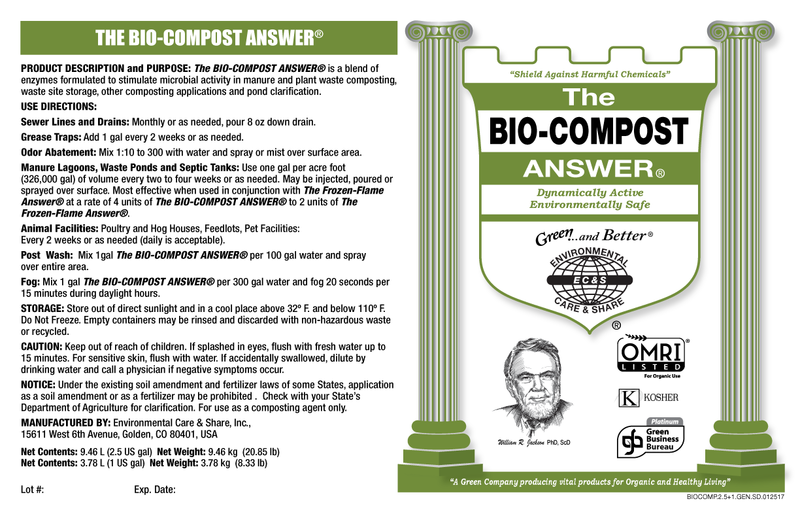 What is THE BIO-COMPOST ANSWER® & what is its purpose? 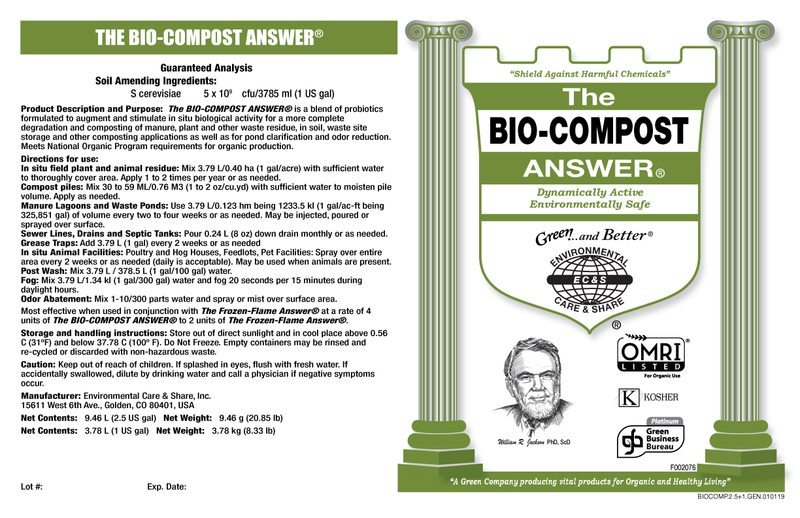 THE BIO-COMPOST ANSWER® is an all natural multi-enzyme, biochemical product that accelerates microbiological activity and replication to more rapidly breakdown and transform a wide spectrum of organic and inorganic matter while dissipating odor in livestock manure, plant waste, waste site storage, and other composting applications. It was designed to rapidly stimulates dormant and beneficial, indigenous microbes to multiply and accelerate in the decomposition process of converting waste, fertilizers, chemicals, manure and other materials into PERFECT TOPSOIL– while it controls and eliminates harmful, disease carrying pathogens. Sewer Lines and Drains: Monthly or as needed, pour 8 oz down drain. Grease Traps: Add 1 gal every 2 weeks or as needed. Manure Lagoons, Waste Ponds and Septic Tanks: Use one gal per acre foot (326,000 gal) of volume every two to four weeks or as needed. May be injected, poured or sprayed over surface. 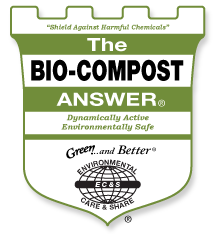 Most effective when used in conjunction with The Frozen-Flame Answer® at a rate of 4 units of The BIO-COMPOST ANSWER® to 2 units of The Frozen-Flame Answer®. Animal Facilities: Poultry and Hog Houses, Feedlots, Pet Facilities: Every 2 weeks or as needed (daily is acceptable). Post Wash: Mix 1gal The BIO-COMPOST ANSWER® per 100 gal water and spray over entire area. Fog: Mix 1 gal The BIO-COMPOST ANSWER® per 300 gal water and fog 20 seconds per 15 minutes during daylight hours.